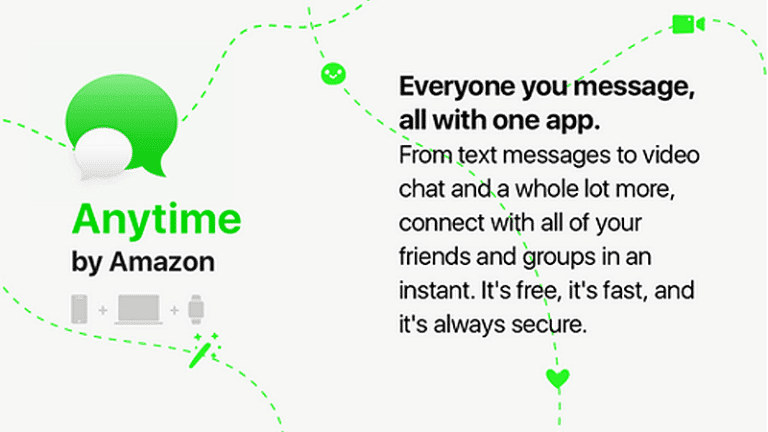 Amazon is reportedly working on its own messaging app dubbed Anytime. The messaging app will have a strong focus on group messaging and will come with usual features like encryption, video and audio calling support, and stickers. Users will also be able to “encrypt important messages like bank account details” with a higher than usual level of security in Anytime. The report from AFTVNews is based on a customer survey information. IT states that Anytime will not be linked to one’s mobile number. Instead, everyone has a username and will feature support for a Twitter-like reply. So, in a group message, you can refer to a person by @mentioning their username. Other features of the app include location sharing, food ordering and bill split options, business chat, and ability to simultaneously listen to music. And it goes without saying, Anytime will also allow one to buy stuff from Amazon. The app will let one reach all their friends by “just using their name” without knowing their phone number. It is unclear how this feature of the app will work but should help users get their friends and family onboard the app when it is first launched. Amazon recently debuted Amazon Echo Show now offers basic video and audio calling capabilities, so it is not surprising to see the company jump on the messaging bandwagon. In fact, the Anytime messaging app from the company will allow it to integrate with its virtual assistant, Alexa, and its Echo series of devices. Anytime could be based on the same backend technology used by Chime, the business oriented messaging service unveiled by Amazon earlier this year. 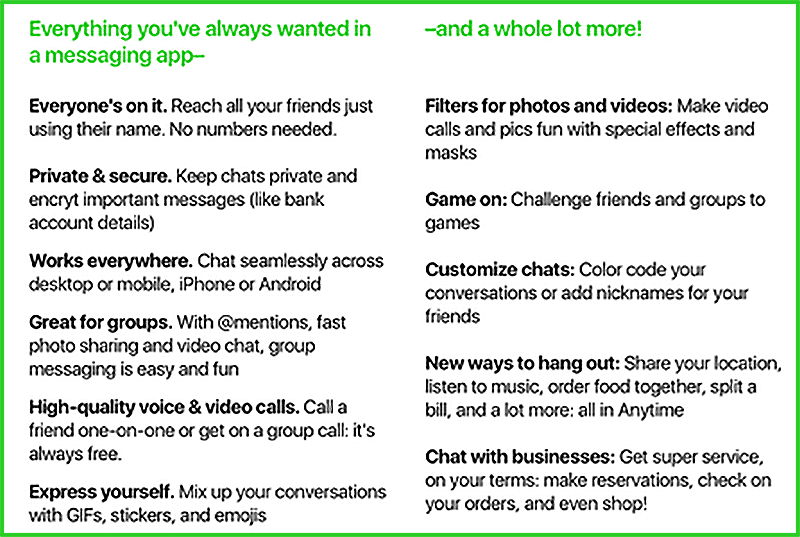 With iMessage, Hangouts, Allo, WhatsApp, Skype, Telegram, Messenger, and plenty of other messaging apps already available out there, the world certainly does not need another one. However, if Amazon is able to bring some new features to the table, it might just be able to gain enough traction to survive in the competitive world of messaging apps.